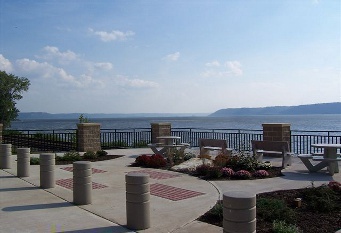 River View Park, located in the center of the Village, (Main Street-Highway 35) was built in 2008 and is a beautiful observation deck. 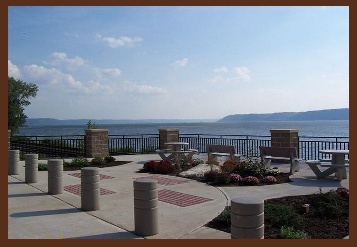 It offers a park-like setting for “Byway Tourists” and local residents to stop, relax and enjoy the natural scenic wonder and vastness of the majestic Mississippi River and the quaintness of a small river-town. The park is also a few feet from the double tracks of the Burlington Northern Santa Fe Railroad line and has become a favorite spot for “train watchers” to observe the many freight trains proceeding north and south daily. 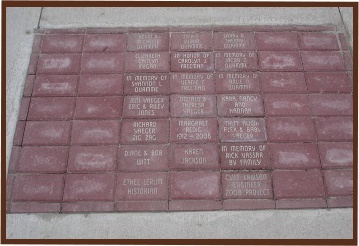 In 2009, a "Wisconsin Historical marker" was built and dedicated at the Park honoring former Governor Patrick Lucey, a native son of Ferryville. 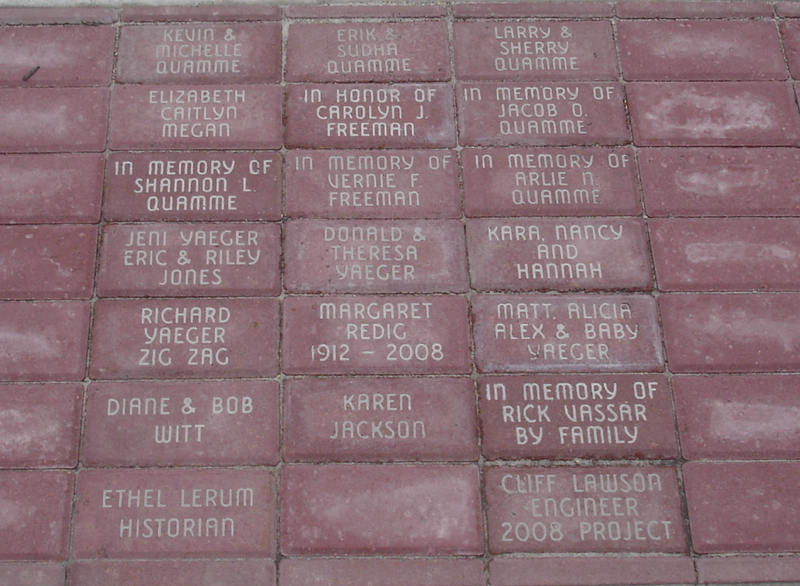 Beautiful flower gardens adorn the park as well as commemorative bricks that have been purchased to honor the memory of loved ones as well as current family and friends. The park and campground is located on Highway 35 near the South-end of the Village along Sugar Creek and the railroad tracks. Two picnic shelters, with tables are available. Camping facilities with 12 electrical hook-ups can be used on a first come first serve basis. Many other sites and tent camping areas can be used daily. 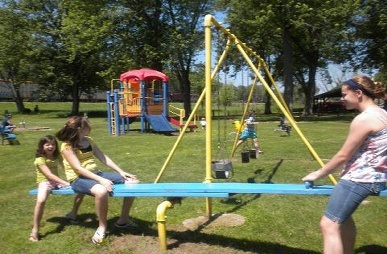 Running water, at a central site and bathrooms, along with playground equipment is present in the park. A daily fee of $10 is charged for camping. Advanced reservations for families or groups who wish to use the picnic shelters can be arranged by contacting the Village Clerk-Treasurer (click on the "officials tab" for contact information). 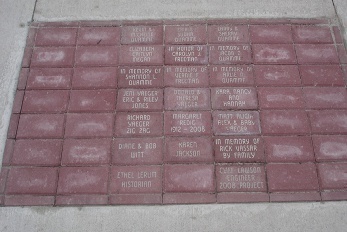 The public boat launch is located off Market Street in the central part of the community and was rebuilt in 2003. 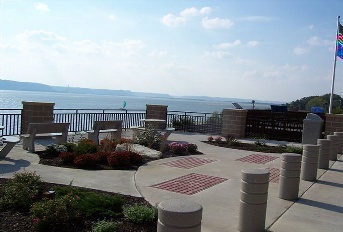 A paved launching ramp and a paved parking area are available along with a small picnic shelter and bathroom. A daily launching fee of $2.00 is charged or an annual pass can be purchased for $20.00 at the Cheapo Depot or Ferryville Cheese. 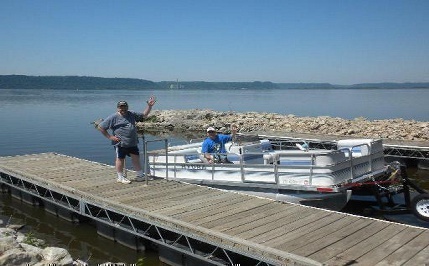 When the Mississippi River water level permits, buoys mark the channel from the boat launch to the channel on the West side of the river.